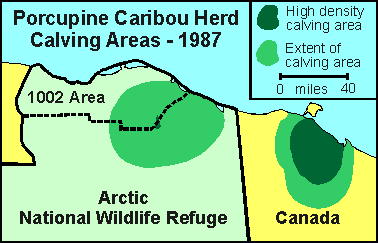 These maps show a high density calving area (dark green), and the extent of the calving area (middle green). The areas are based on locations of pregnant radio-collared cows. 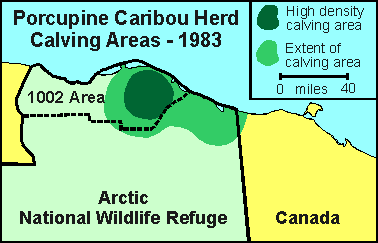 Collared cows were followed regularly during the calving season, and the first place a cow was seen with a calf was recorded as the calving location. 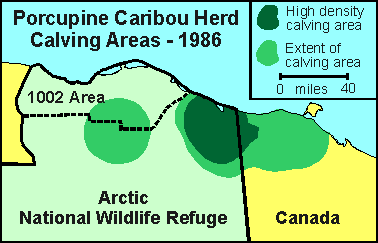 A computer program was used to calculate an estimate of the year's calving grounds based on these observed locations. 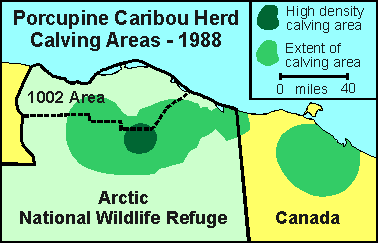 This analysis created map contours of the calving locations. 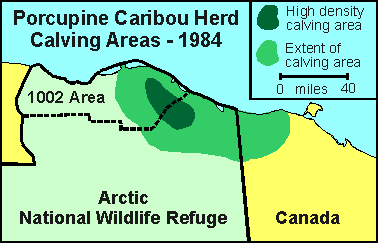 Calving density was highest within the central 50% contour, and this area is mapped as the high density calving area. 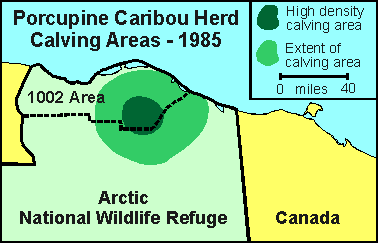 The extent of calving is mapped along the 95% contour.